I remain unconvinced we should be rewarding classical roles over the breadth of the theatre out there but hey ho, it’s not my award! 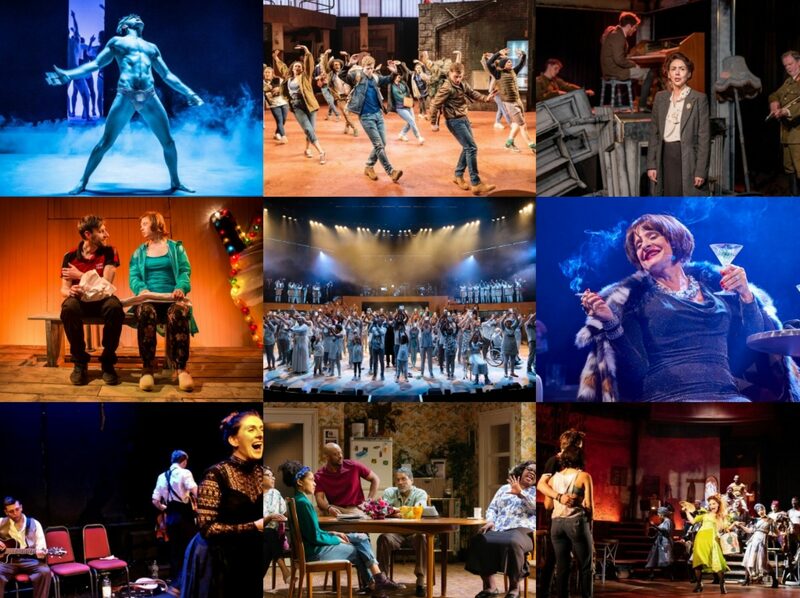 A good selection of performances nominated here nonetheless – winner to be announced in May. Romance Romance was nominated for 5 Tonys in 1988 and performance nods aside, you have to wonder what the standard of the other nominees was (actually, they included The Phantom of the Opera and Into the Woods…!) as its charms really rather eluded me. One of the more pronounced trends at this year’s VAULT Festival has been a multiplicity of work promoting mental health awareness, both in and outside of the officially curated Let’s Talk strand. There’s still a long way to go in fully destigmatising conversations about these difficult topics but it is gratifying to see so many creative dedicated to the cause. The Owle Schreame’s A Midsummer Night’s DROLL begins with a bit of a lecture, informing us how theatre survived during the Puritans’ purge, by going underground. Rough and ready adaptations of plays, called drolls, were performed guerilla-style – anticipating today’s pop-up theatre festivals…?! – wherever there was a Will and a way. Is it wrong to like Atomic Kitten’s cover of ‘The Tide is High’? I suspect the answer would be a resounding yes for most people but for Lucy and Jess, two teenage girls from a northern seaside town, (and let’s face it, me), they’ve even got the dance routine from the video down pat, complete with brilliantly improvised wind machine. The best cabaret shows always find the sweet spot between concert and confessional and in The Ginger Snapped, Jinkx Monsoon and Major Scales manage to do just that. As a promised show disintegrates into a pseudo-therapy session, the pair delve into the murky waters of fame and fabulousness to reveal some of the toll it can take on one’s mental health. I first saw Simon Stone’s Medea in Amsterdam, in Dutch, without surtitles, and it was a revelatory experience which has lingered long in my memory as one of the best classical adaptations I’ve ever seen. So the chance to revisit it at the Barbican, once again anchored by the incomparable Marieke Heebink in Bob Cousins’ stunning design was unmissable. I was a big fan of Tom Ratcliffe’s VELVET at the VAULT Festival and so was intrigued to catch this production of his debut play Circa at the Old Red Lion Theatre. But where VELVET taps right into contemporary culture with its gay perspective on the #MeToo era, Circa feels curiously dated. True story, I didn’t love Waitress when I first saw it in my Broadway Blitz of 2016. But as it sometimes the way, upon listening to the cast recording again and then again, I fell for the show that way, and so was delighted with news of its UK premiere at the Adelphi Theatre.